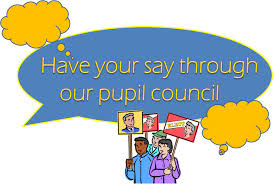 The Pupil Council represents the school and the views of other pupils within the school. The Pupil Council voice their opinions and suggest ideas to try to improve the school. We work very hard! We attend meetings, listen and share ideas with classmates, parents and members of staff. We have good listening skills and enjoy working as part of a team.